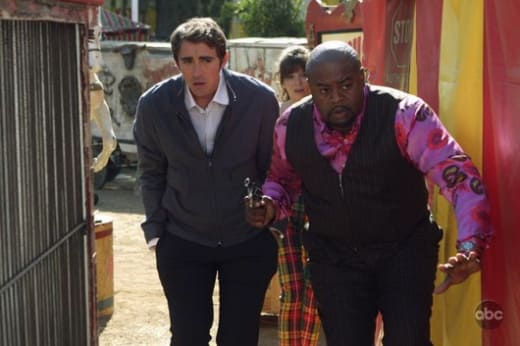 Pushing Daisies Episode Guide, Photos, Quotes & More from "Circus Circus"
The theme of tonight's new Pushing Daisies episode, titled "Circus Circus," may have been change... but nothing has changed about our commitment to provide readers with the most in-depth show coverage on the Web! Read a detailed recap of this adorable hour now, complete with all-new Pushing Daisies quotes and photos from the episode. Then, visit our Pushing Daisies forum and talk about the latest twists, turns and developments. We'll see you there!